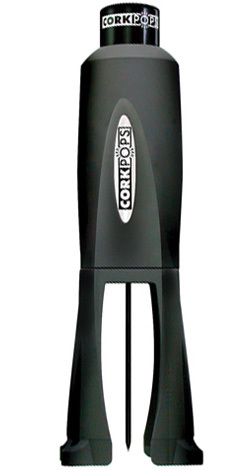 Pierce the cork effortlessly and your thumb releases pressurized inert gas. Cork slides up and exits with a light pleasing pop! - Pierce the cork effortlessly and your thumb releases pressurized inert gas. - Cork slides up and exits with a light pleasing pop. - Comes with one cartridge good for 80 to 100 bottles and built-in foil cutter. Its a great way to preserve the cork, particularly with opening older vintages!